In the Northern Hemisphere, October 31 marks the end of the harvest season and the beginning of the ‘darker half’ of the year. The ancient Celts believed that this was a liminal time, where the veil between our world and the spirit realm was temporarily lifted, allowing the spirits to cross over and influence the the living. Today, we still celebrate this auspicious time of year with Halloween, and if you are someone who has a vested interest in the otherworldly, this date offers a tantalising opportunity to communicate with the spiritual world. In the 200 years since Victoria was first settled, the intrigues, mysteries and tragedies of the many souls who called the state home have left a ghostly imprint on some of its most iconic landmarks. This week, the team at Melbourne on the Move take a look at three Victorian landmarks which are famous for their otherworldly inhabitants. During its heyday in Victorian gold rush in 1850s and 60s, Bendigo’s population exploded with thousands of people hoping to make their fortune on the goldfield and their presence still looms large more than 160 years later. There are many historic buildings in Bendigo where patrons and residents have taken note of an otherworldly presence, but none can compete with the stories which emerge from the elegant Victorian mansion known as Fortuna Villa. Built in 1855 for mining magnate Christopher Ballerstedt, and later owned by the equally wealthy mining entrepreneur George Lansell, Fortuna Villa evolved from a family home to a mapping survey centre for the Australian Army during WWII. During their time in residence, the soldiers frequently reported supernatural sightings in the Villa and in fact the reports were so common that the duty patrol officer (who had to make a record of any unusual disturbances during the night) had to create a separate book for all the sightings, known as the ‘Fortuna Ghost Book’. Notable supernatural experiences include a stylish young woman in a ball gown who floats around the Pompeii Fountain, a disembodied female voice which politely asks visitors to leave, and George Lansell himself who has been seen wandering around the stables in a white jacket and straw boater hat. Morning and afternoon tours of Fortuna Villa are held on the last weekend of every month. Built by convicts and run as a maximum security prison from 1853 until its closure in 1991, Old Geelong Gaol is a draughty, imposing building which still retains vestiges of the misery experienced by its former inhabitants. 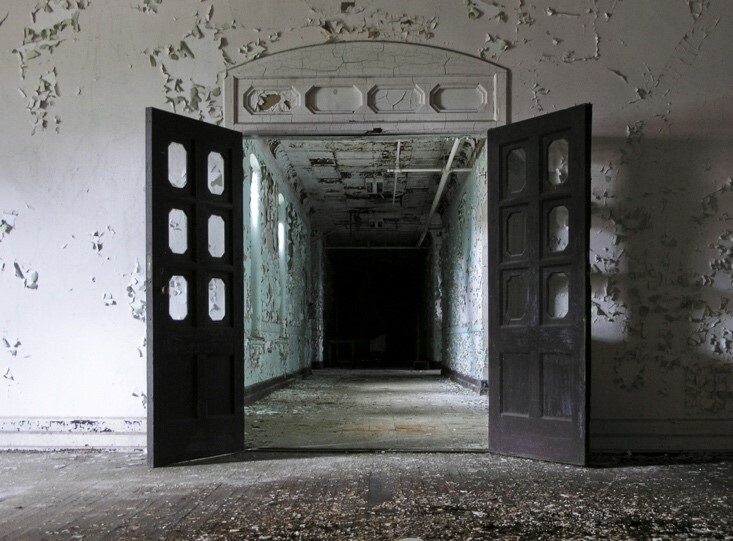 During its years of operation, inmates would report hearing the sound of female cries at night, emanating from the East Wing where 180 homeless girls aged between 9 and 16 had been kept in what was called the Myers St. Industrial School for Girls between 1865 and 1871. The school was closed in 1871 after a Royal Commission into Penal Discipline described it’s ‘dungeon cells’ as ‘dismal and dispiriting’. There have been reports of swirling mists, people being struck by invisible forces, and sudden feelings of unease and fear by people visiting the East Wing. 90 minute ghost tours of the gaol run 7 nights a week, starting at 8pm. Perched on a hill overlooking the town of Ararat is a cluster of 63 austere Victorian buildings that were once the Aradale Mental Hospital. When it was founded in 1865, the way society dealt with the mentally ill and disabled was to lock them up and throw away the key. As a result, many ‘lunatics’ spent their entire lives inside the 900+ bed, self sustaining asylum which housed a diverse array of inmates ranging from patients suffering from congenital disabilities such as down syndrome through to the criminally insane. 13,000 patients died inside the walls of the hospital during its 130-year history, and many left an indelible mark which can still be felt today. One of the most famous ghost sightings at the hospital is of Old Margaret, a former patient who spent her entire life inside the asylum until she was evicted when it was closed in 1998. Her spectre is said to wander the grounds of the asylum, the only home she ever knew. Ghost tours of the Aradale Mental Hospital run every Friday and Saturday at 9pm during daylight savings, and 8pm during the rest of the year. Melbourne on the Move offers bus hire from Melbourne, so you can plan your ghost hunting adventure without having to worry about the logistics. Get in touch with us today by calling 1300 55 86 86.